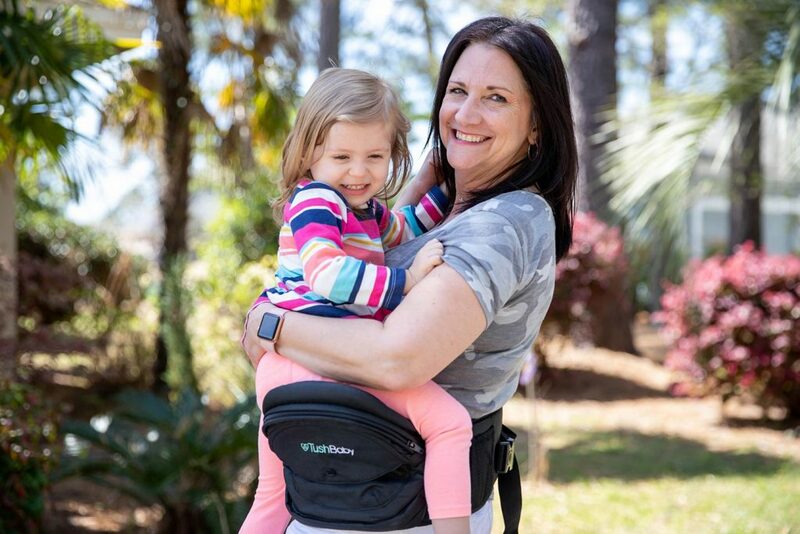 TushBaby was founded in January of 2018, by Tammy Rant when she couldn’t find a comfortable way to carry her kids. Born out of pure necessity, she knew there were parents out there in the same boat. Any parent will tell you how uncomfortable carrying a child on the hip for any length of time feels. As a result you end up with sore arms and back pain. After working closely with manufacturers, designers and even pediatricians, the ergonomic hipseat carrier came to fruition. TushBaby officially launched on Kickstarter in May 2018 and earned $124K, blowing their set $10K out of the water. TushBaby went viral in a matter of weeks, garnering over 60 million views and was featured on major outlets like Buzzfeed, Good Housekeeping and Parents. Tammy went on to present her idea on the show Shark Tank. In just three months time TushBaby was not only successful in the U.S., but also reached parents internationally in Asia and Europe. TushBaby is intended for children up to 36 months old. 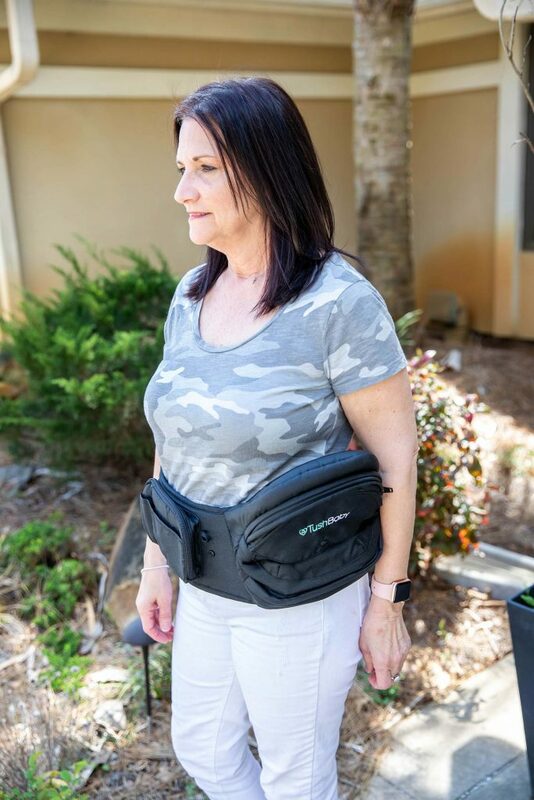 WRAP TushBaby™ Velcro belt around waist. Tighten and adjust for comfort. SLIDE strap under elastic loop. SNAP & LOCK buckle. TIGHTEN strap. KEEP arm around child at all times. Parenting is tough. Leaving the house can be such an ordeal. 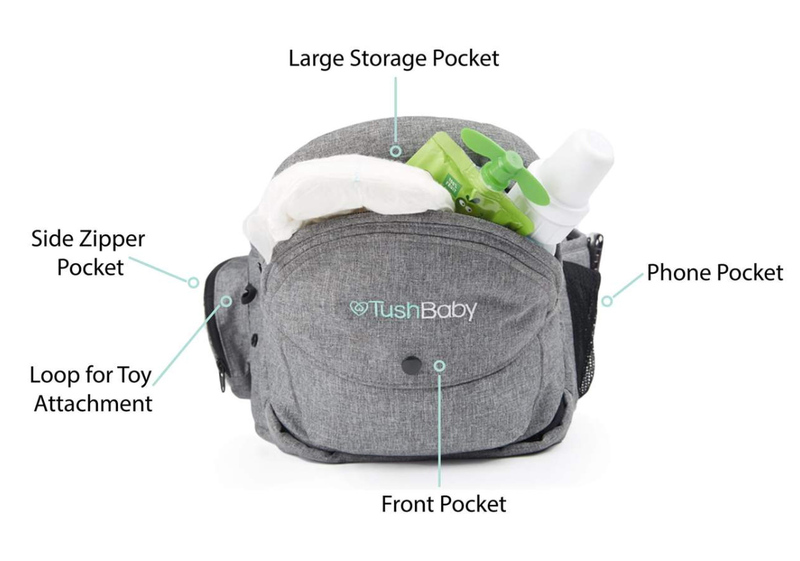 TushBaby is equipped with convenient storage for everything you need. The storage beneath the seat is perfect to stash diapers and wipes. The side pockets are a nice place for pacifiers, your phone and keys. There is even a loop on the front for a spot to attach toys. When you aren’t using it, it folds up so it’s easy to transport. 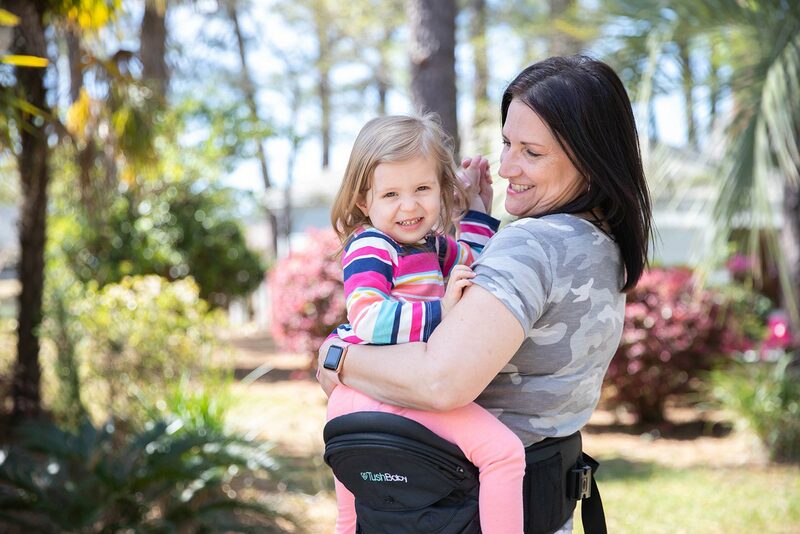 TushBaby evenly distributes weight to reduce back, arm and hip strain so you don’t have to constantly switch sides. Approved by both pediatricians for babies, and chiropractors for adults, the supportive ergonomic seat puts your baby’s hips in the pediatric-recommended “M” position, and reduces painful spine curvature for grown-ups. 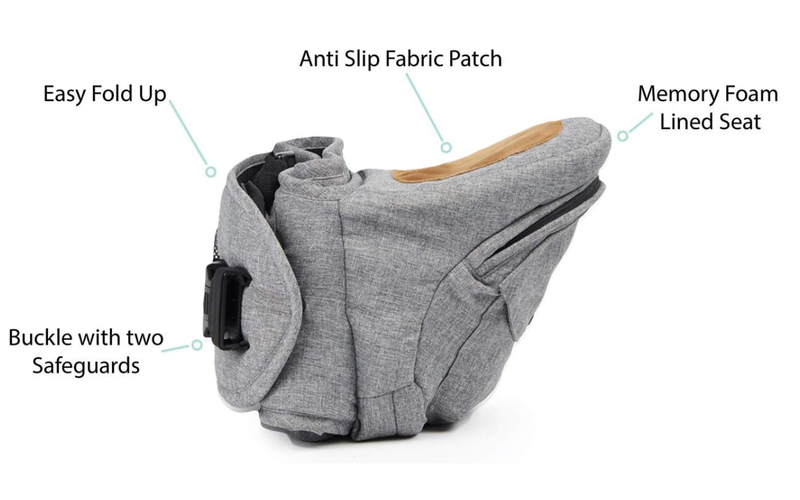 TushBaby is truly a problem-solving product. Not only is it extremely easy to put on and convenient to wear, but also very comfortable. Strollers tend to be too bulky and can be a challenge in navigating through tight spaces. Strap-in carriers also have their cons, they can be so complicated to put on and you end up hot and sweaty when wearing wraps. Daddy’s Remarks: “TushBaby is a solid product. Not only does it feel safer to hold my daughter, but I am way more comfortable while wearing it. It is so convenient while walking around stores and it gives me peace of mind knowing I won’t be waking up with a back ache. I love that TushBaby can be used for years. 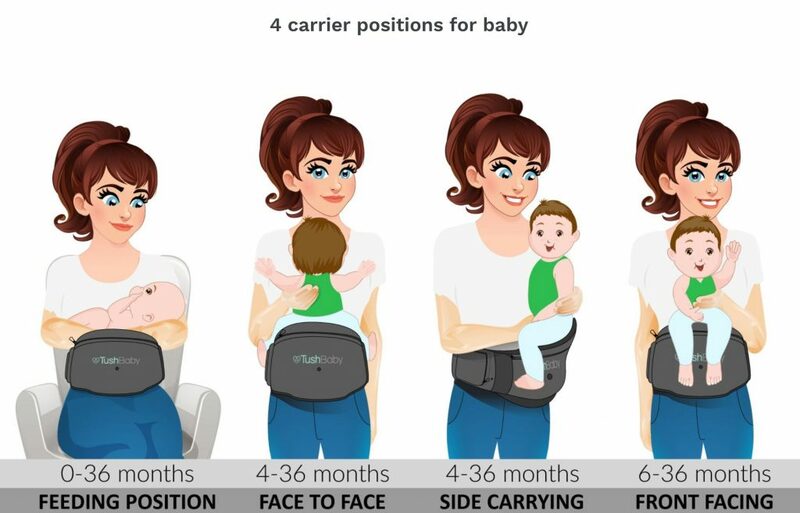 With multiple carrying positions, you can use TushBaby from birth to age 3 (up to 44lbs). From day 1 it can be used for breastfeeding support, which I can’t wait to try next month! 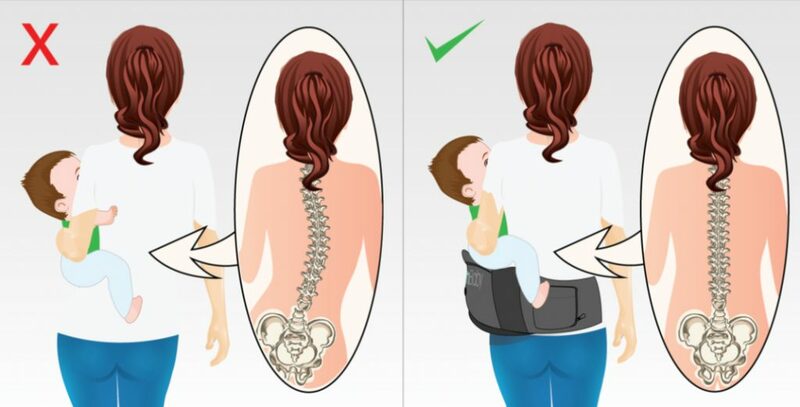 Do you experience back pain while hip holding your child?